One of the false arguments asserted by the anti-WO activists is a new theology of “male headship.” They claim that it applies to the pastor as head of the church. There are several problems with that new theology. For one, the minister is not the head of the church! 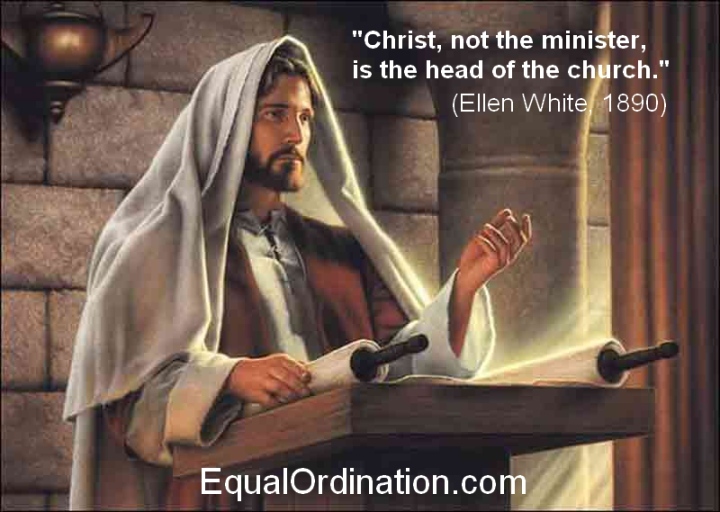 Ellen White made it clear that Jesus Christ is the only head of the church. She also preached that the secret of unity is the equality of believers in Christ. (Ellen White, 1SM 259) She said the Holy Spirit “prepares workers, both men and women, to become pastors.” (Ellen White, Testimonies Vol. 6, p. 322) Our prayer is that the Adventist Church will unite in the equality of believers, including equality in ministry. For more information on headship, including insightful papers and videos, see our post, Pastor Is Not the Head. Posted in Ellen White, Facts, Headship, Spirit of Prophecy.